No flagship without Freebies, BOGO or huge offer in Samsung. The Samsung Galaxy S10 and S10+ have been making headlines since January; starting from rumors and leaks to the final launch, the debut of hole punch display on Samsung smartphone, and quite a lot of other updates. Also, we saw a variety of hole punch wallpapers that were launched to fit the screen of this device. Today, we are introducing the freebies you stand to get when you buy this flagship device. Some enticing free offers are attached to the Samsung Galaxy S10. You can save quite a lot when you participate in specific S10/S10+ deals from official retail partners. Nevertheless, Samsung is giving out its original Galaxy Buds to people who will buy the Galaxy S10 and Galaxy S10+. These earbuds cost around $129.99. 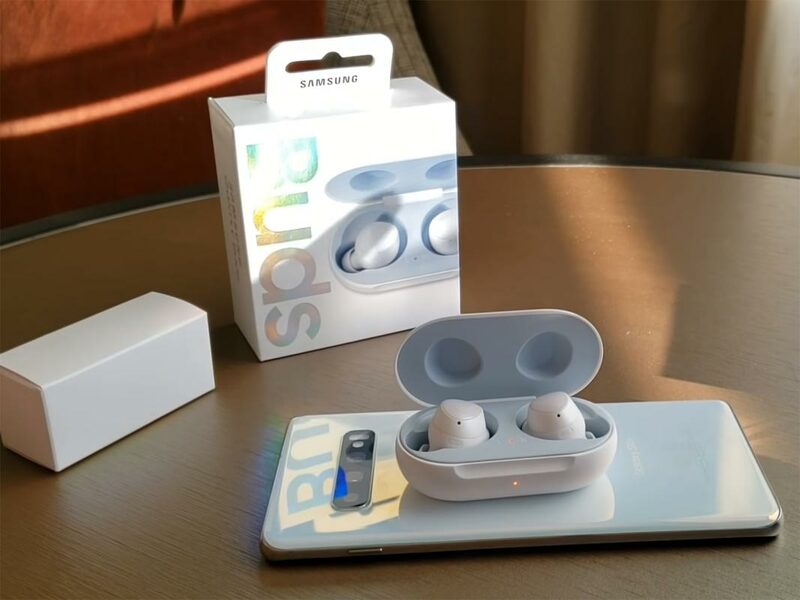 The only official freebie attached to this device is the original pair of Galaxy buds, and this is available to people who pre-ordered for the Samsung Galaxy S10 or S10+. So, if you didn’t pre-order for this device, you may miss out. However, if you pre-ordered for any of these devices, you can check out if you’re eligible from here. Check for eligibility. Also, when you trade in an old device, you can get up to $550 discount to own this high-end device from Samsung. Plus, you can opt-in for an installment purchase where you’ll get to pay $37.50 per month for two years (24 months); this will total $899.99. You can check your device value in the official site. For Note 9, S9 Plus, S9, Note 8 Devices you can get up to $550 Offer. For other devices, you can get a minimum of $150 (Least Samsung Galaxy Note 5). Pixel 3 and Pixel 3 XL will get up to $550 offer. Other devices will get a minimum of $150 Offer (Pixel 1st Gen). 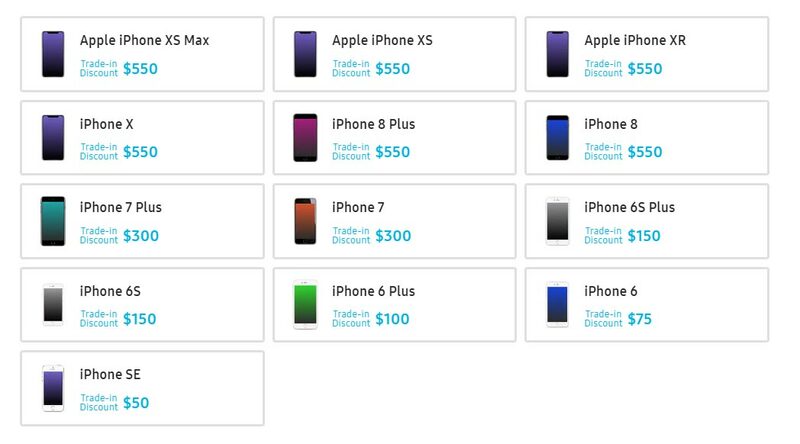 XS Max, XS, XR, X, iPhone 8 Plus, iPhone 8 get up to $550 Offer. iPhone SE gets a minimum offer of $50. LG V40 gets up to $550 Offer. Other devices get an offer from $150 to $300. There are lots of offers for the Samsung Galaxy S10 and its official variants. You can order for these devices from the official Samsung store; there are lots of exciting offers you’ll get there. 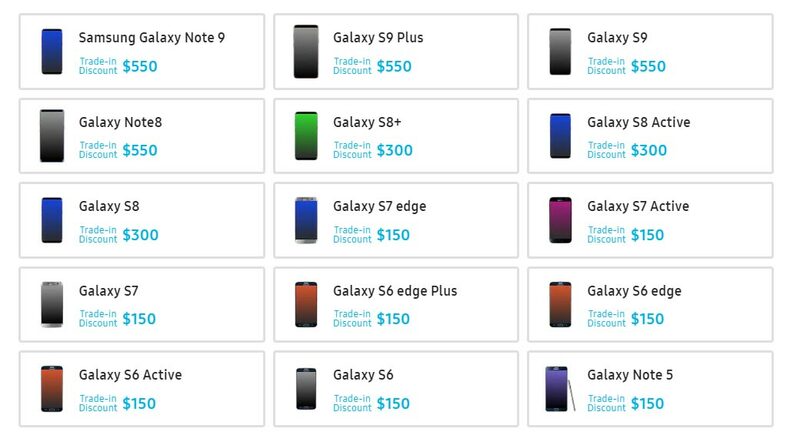 First, you’ll get to choose a carrier (AT&T, Verizon, T-Mobile, Sprint, Unlocked, and US Cellular). Also, you will have to select your preferred color and storage capacity preference. If you want to know what is the difference between these three you can refer- S10 vs. S10+ vs. S10e. 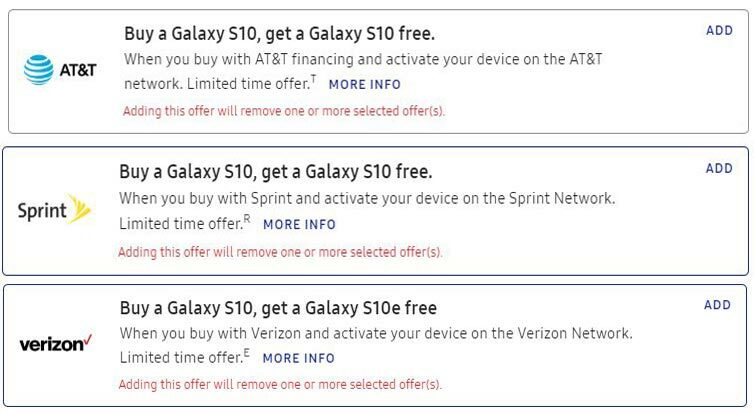 AT&T, Sprint, and Verizon Offers S10, S10+ and S10e As the Second Device in BOGO Deal. Terms and Conditions apply. 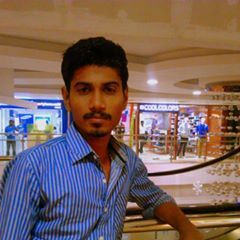 Refer them before buy. In Verizon, It shows only S10e, But you can choose S10, S10 Plus Also. The official price of the Samsung Galaxy S10 is $899.99 and $999.99 for the S10+. However, you can register and opt-in to pay on installment. To access the various deal offers for this device, check the official S10 product page. If they give Galaxy Buds free for S10 and S10+, It will be the Best offer. But this free offer is limited only to Pre-Order. The Galaxy buds work right out of the box and connecting the buds with your Galaxy S10 series is effortless via Bluetooth pair connection. This pair of buds is pocketable and won’t stress you one bit to move them along.